Supporters of a bill to mandate a carbon-emissions study before Maine permits a proposed electricity transmission corridor from Quebec to Massachusetts packed a Friday hearing as energy regulators close in on a decision on the highly controversial project. Farmington is set for a nonbinding vote Monday on Central Maine Power’s proposed transmission line from Quebec to Massachusetts and literature recently circulated in support of the project is causing more tension just before the vote. The controversial $1 billion project has been opposed by eight towns, but Farmington — the home of Gov. Janet Mills, who backs the corridor — would be the biggest one to oppose it. Both sides of the complex, campaign-like debate have recently peppered the town with mailers. One handbill uses past quotes of support from Franklin County commissioners and the area’s economic development arm. A commissioner now says his body’s move to support it was “a mistake” and the body could undo it at a meeting on Tuesday. Withering local opposition has been CMP’s biggest public relations battle as groups have shifted away from backing the corridor. The main funders of pseudo-campaigns for and against the project — CMP and an opposing coalition called Stop the Corridor that hasn’t disclosed its financial backers — sent mailers to Farmington residents this month. CMP also apparently did in-person canvassing in some areas, as evidenced by a Farmington-specific handbill provided by a resident. 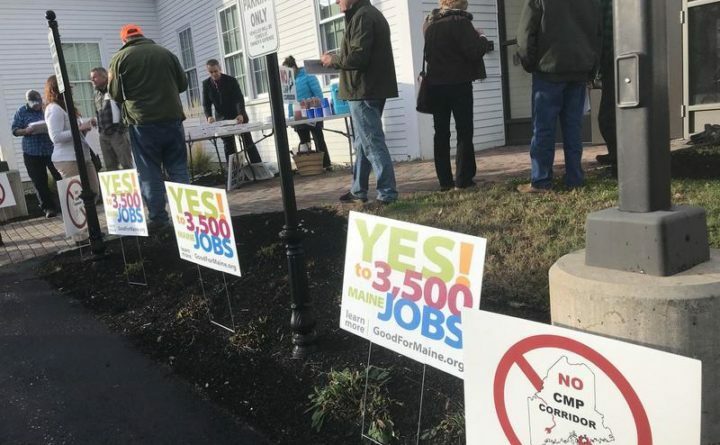 Several towns and groups came out in support of the project early in its development, but they have increasingly gone away from it since it became clear that the project was the favorite to fulfill a Massachusetts clean power contract. That includes the Sportsman’s Alliance of Maine and the town of Wilton, which rescinded selectmen’s 2017 endorsement of the line this month. Negotiations over the project have gone through several phases. CMP initially offered a $22 million benefit package for tourism and habitat restoration. Franklin County officials asked for their own $26 million package, but it didn’t go anywhere. Mills supported the project after CMP inked a $250 million, 40-year benefits package with a wider group of stakeholders last month. But Charlie Webster, a commissioner from Farmington and a former Maine Republican Party chairman, said his body’s past support for the line was “a mistake” done without knowledge of the benefits package offered in a New Hampshire transmission line proposal. Commissioners voted to rescind their support and take a neutral position at a Tuesday morning meeting. “In retrospect, we shouldn’t have taken a position one way or the other,” he said. It’s unclear if all of this public opposition will sink the project. CMP clearly wants a good showing in Farmington on Monday, but it may be unlikely. The corridor is still flying toward a decision at the Maine Public Utilities Commission, whose staff is scheduled to issue a recommendation on the project to commissioners by April 1. If it is approved, state and federal permitting processes would ensue. This is going to be a multi-front political battle for a while. Maine’s senior senator can claim the title of Congress’ most bipartisan senator for the sixth year in a row. The Lugar Center and the McCourt School of Public Policy at Georgetown University on Monday gave U.S. Sen. Susan Collins, R-Maine, the highest bipartisan score for 2017-2018 in the index’s 26-year history, beating out the record set by former Sen. Gordon Smith, R-Oregon, who lost a re-election bid in 2009. Scoring is based primarily on how often a member sponsors legislation co-sponsored and introduced by members of the opposite party. Collins placed first, just ahead of Sen. Rob Portman, R-Ohio. Maine’s other senator, Angus King, an independent who caucuses with Democrats, placed 28th. On the House side, Rep. Chellie Pingree, a Democrat serving Maine’s 1st District, placed 138th. Freshman Rep. Jared Golden, a Democrat from Maine’s 2nd District, was not in the running because he was only elected in November. Collins split with her party to vote against repealing the Affordable Care Act in 2017, and in October 2018, when she cast a pivotal vote to confirm embattled Supreme Court Justice Brett Kavanaugh, who was accused of sexual assault. Collins is up for a fifth term in 2020 and after the latter vote, Democrats and their allies began online fundraising for her 2020 opponent, despite the fact that no candidate has stepped forward. Republicans rallied behind her, as reflected by strong campaign fundraising in the fourth quarter of 2018. Other measuring systems don’t give Collins quite as high a score for bipartisanship. For instance, a ProPublica tracking of votes against majority Republicans ranks her 21st for 2017 and 2018. So her place atop the Lugar Center list might be as much a reflection of an increasingly divided Congress as to her commitment to bipartisanship. In the 2018 midterm elections, Maine’s voter turnout was one of the highest in the nation, according to new data from a group that charts voter behavior. Nonprofit Vote’s recent report ranks Maine sixth nationwide, as just over 60 percent of registered voters cast ballots, totaling 646,013. In the 2014 midterms, 616,996 ballots were cast in Maine. November voter turnout across the country surpassed 50 percent, setting a 100-year record. The two-term tenure of former Republican Gov. Paul LePage ended with the November election of Mills, a Democrat. Momentum from the left gave Democrats full control of the Legislature, and led to the historic 2nd Congressional District defeat of Republican Rep. Bruce Poliquin by Democrat Jared Golden in the country’s first federal ranked-choice voting contest. That race was protracted by a legal battle and a recount, both led by Poliquin. The House and the Senate reconvene this morning, as will most legislative committees. But committee hearings are less filled with bills and more with committee presentations by relevant state departments and budget hearings. The Appropriations and Financial Affairs Committee will suss out proposed spending, as part of Mills’ $8 billion budget, for the Office of the Attorney General, the judicial department, indigent legal services and the Indian State-Tribal Commission. Other committees will consider two bills to upgrade the statewide 9-1-1- emergency phone system, and bills to build a new Bureau of Forestry headquarters in Fort Kent, and to mandate that health insurance carriers provide coverage for medical marijuana. Find the full legislative schedule here. — Maine could be on the hook for $72 million for past certification problems at Riverview Psychiatric Center. On Monday, Mills’ administration revealed that the federal government had rejected the previous administration’s appeal of an order to repay $51 million in 2017. Since then, the liability grew to $72.1 million, which is more than what the previous Legislature set aside in case Maine had to repay the feds. Riverview was decertified by the U.S. Centers for Medicare and Medicaid Services in 2013 for myriad problems, including overcrowding, inadequate staffing levels and the use of stun guns and restraints on patients. It regained certification in January. — Turmoil continues for the largest union at Bath Iron Works. On Saturday, about 150 members of the 3,500-member Local S6 of the machinists union voted no confidence in local president Mike Keenan. A shipfitter who was president of Local S6 from 2001 to 2008, Keenan was removed from office in 2008 and barred from running for several years. He was re-elected as president of the local in 2016 and took office in January 2017. He has again been embroiled in conflict with other board members, and has filed charges against chief steward Raymond Gauthier and secretary and treasurer Jason Perry to the union’s governing board. Keenan said the no-confidence vote is a reaction to his efforts to “clean up the local lodge” before upcoming contract negotiations. — A southern Maine contractor said his immigrant employees are often subjected to racism. Only twice in three years has one of Orson Horchler’s black, African-born carpenters arrived at a job site before him. Both times, someone’s called the police.The first time was in Scarborough. The latest incident happened in Westbrook on March 7. Horchler, who operates Bondeko carpentry, only hires new Mainers to help with his construction and remodeling jobs. “I think that says people are racist,” said Horchler. “I was really mad about this. These are immigrants who are working their butts off and it makes it so hard for them to do what they need to do. — More details on recent Maine shootings emerged on Monday. A police affidavit indicates that Austin McDevitt of Morrill shot Shane Sauer of Belfast seven times Friday morning in Swanville in a conflict over a woman whom both men were allegedly dating. McDevitt made his first court appearance Monday for a murder charge and will be held without bail. Police in Presque Isle said that Matthew Leavitt, 35, shot and killed his 14-month-old son, Quinten Leavitt, before he shot and killed himself after a weekend standoff with police. Both died from a single gunshot wound, according to the state medical examiner’s office, which conducted the autopsies Monday. My grandfather’s parents emigrated from Ireland, so I have been wearing green on St. Patrick’s Day since I was in a onesie. In school, even the Swedish and Polish kids donned green to be “Irish for a day.” That tradition has continued through most of my life, as even people who have no connection to the Emerald Isle seem to enjoy indulging in the “wearing of the green” on March 17 if it can get them beer for breakfast or an excuse to become sloppy or maudlin. With one exception. During the early 1980s, I taught special education at a special school on the North Shore in Massachusetts. Two of my colleagues — Miss Marie and Miss Georgia — wanted no part of the St. Patrick’s Day nonsense. Both were married, but it was just easier to have the students call them “Miss.” One was a Sicilian woman married to a Greek man, and the other was a Greek woman married to a Sicilian. They aggressively scorned St. Patrick’s Day. 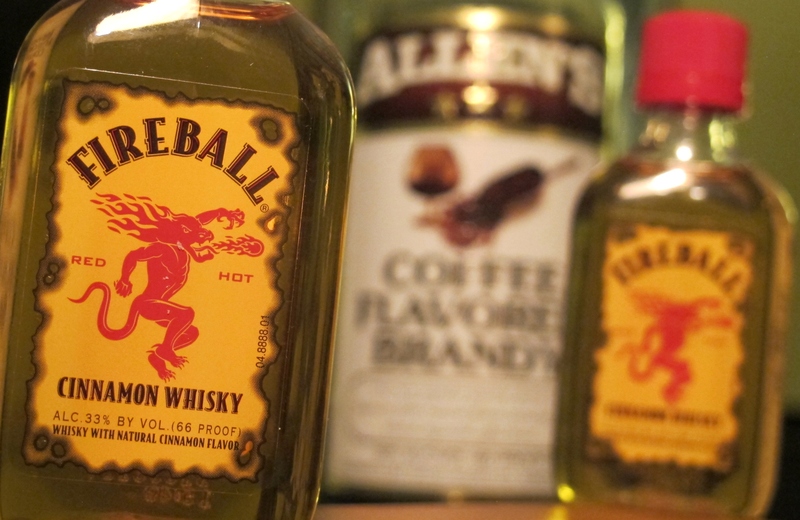 Part of that might have been related to the fact that the Irish-Americans in the Boston area do tend to overdo it when celebrating their heritage. Drunken faux leprechauns are annoying. But the main cause of their displeasure was a perceived slight to St. Joseph, whose feast day is today. At the indoor picnic table that served as our teachers lounge, they would loudly complain that Joseph, Mary’s husband and Jesus’ stepfather, got serious short shrift in the celebration department. They would not decorate their rooms for St. Patrick’s Day and wore red — traditional Sicilian garb for St. Joseph’s Day — or blue — because “Greeks wear blue” — for the entire third week of March. They argued that the world would be far better off celebrating a saint who could make birds come back to the same place every year than someone who drove snakes off a barely inhabitable island.